Ice skating is one of London’s favorite pastimes during winter, especially during Christmas. There are several permanent indoor London ice skating rinks, but in winter you’ll find many more outdoor ice rinks popping up across the capital. Among the lots of skating locations in London, The Somerset House is one of the most beautiful locations to skate. With the Fortnum Lodge close to the Somerset house it is the ideal place to be when you’re ready to get off the ice. 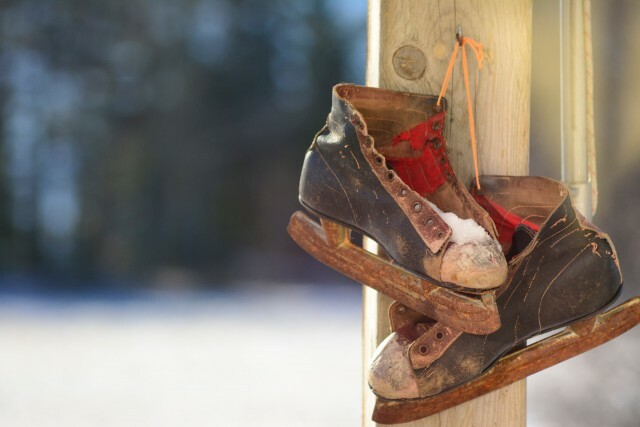 Have a fun filled winter at one of the most famous rinks in London. It is located at the front of Kensington’s Natural History Museum and also surrounded by twinkling lights, there are few places that offer such an atmospheric skate and Natural History Museum is one of the best. The Skylight skating rink is placed on the roof of Tobacco Dock. It’s one of London’s first rooftop ice skating rink this winter. It’s a small rink compared to most, not surprising since it’s on a roof. It gives the best view from any ice skating rink. Hampton Court ice rink is located in the most extravagant palace grounds of any skating rink in London. Hampton Court’s rink is a fantastic place to be during the winter. The rink has a cloakroom and skate rental. If you’re not skating, or just wish to have some time spent at Hampton Court the Frost Fayre café will be a nice location. If you also need a place to warm up and have some coffee after or before skating Hampton Court ice rinks is the ideal place to be. · Remember that you are logged in and that your session is secure. You need to be logged in to complete an order. *Track the pages you visits via Google Analytics. This information is only processed in a way which does not identify anyone. We do not make, and do not allow Google to make, any attempt to find out the identities of those visiting our website. This website will not: Share any personal information with third parties. As part of the registration process for our newsletter, we collect personal information. We use that information for a couple of reasons: to tell you about stuff you’ve asked us to tell you about; to contact you if we need to obtain or provide additional information; to check our records are right and to check every now and then that you’re happy and satisfied. We don’t rent or trade email lists with other organisations and businesses. b. details of transactions you carry out through our website and details of the fulfilment of your orders. We may only collect and process personal data collected and/or processed on behalf of a hotel in accordance with that hotel’s instructions. We cannot process it in any other way or for any other purpose. You should refer to the hotel’s privacy and data protection policy for details of how they protect, and how they require us to protect, your personal information. · to pre-complete forms and other details on our website to make your next visit to our website easier (eg when amending or cancelling a booking).